On Saturday, January 10, 2015 at 7:00 p.m. in the Church, St. Philip’s Friends of Music presents Woosug Kang, organ: Pipes, Pedals and Virtuosos: Famous and Less-Known Corners of the Organ World. The gifted and versatile director of music at St. Philip’s, who also guides the largest Royal School of Church Music training program for young choristers in the Southwestern U.S., gives an evening of organ selections. Well known for his unerring musical instinct, authenticity, finesse and technical prowess, Kang is a doctoral candidate in organ performance at Indiana University. Proceeds from this concert with benefit the 2016 United Kingdom Choral Residency in Worchester, England by St. Philip’s youth choir. St. Philip’s is located at 4440 N. Campbell Avenue at River Road. Ample parking is available in the north parking lot or under our solar parking structure on the east side. The Friends of Music phone number is (520) 222-7277. Organist and choral conductor Woosug Kang originally comes from Auckland, New Zealand. 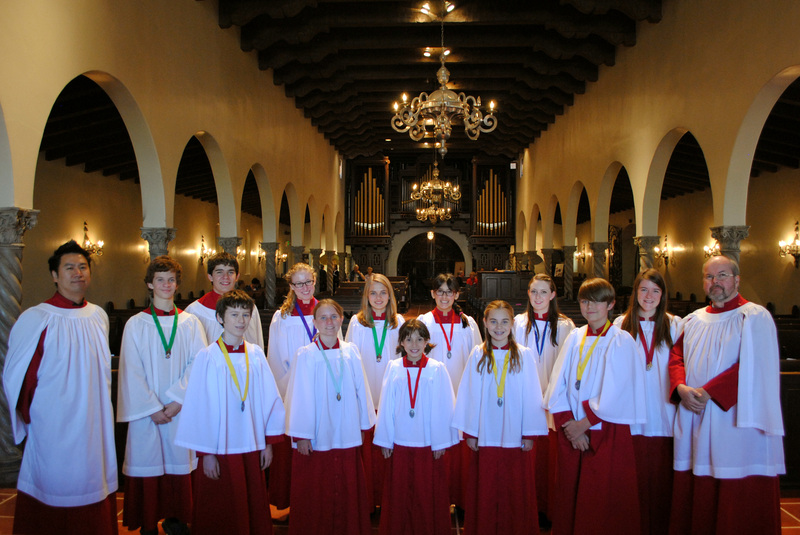 He is the Director of Music at St. Philip’s In The Hills Episcopal Church in Tucson where he leads a large and vibrant music program with six adult-, children’s- and mixed voice choral ensembles. He is responsible for all musical activities including the First Sunday Music Series, where major choral works with orchestra are performed within the liturgy monthly. He also began the Canterbury Apprentice program for changed voices to educate young singers with high caliber choral repertoire. Mr. Kang guides the largest Royal School of Church Music training program for young choristers in the Southwestern US. Mr. Kang is a candidate for the Doctor of Musical Arts degree in organ performance at the Indiana University Jacobs School of Music, where he studied organ performance with Dr. Larry Smith and Todd Wilson. He received minors in Music History and in Church Music. Mr. Kang received numerous prizes and scholarships during his academic pursuits. While studying at Auckland University in New Zealand he held the position of Belinda Godfrey Organ Scholar at the Auckland Cathedral of Holy Trinity, where he was responsible for accompanying regular sung masses and choral evensongs. He also worked as organist for the famed Auckland-based choir Musica Sacra, accompanying the choir for concerts, concert tours, monthly Evensongs, live radio broadcasts, TV broadcasts and the production of their first two CDs. While he was completing his Master of Music degree at Yale University he founded the choir for the Episcopal Church at Yale. Mr. Kang is a founder of Friends of Music at Emanuel, Inc., a non-profit organization in Connecticut focused on enriching the community through musical concerts. Mr. Kang has also served as an adjunct faculty member at The University of Arizona School of Music, where he instructed students in organ performance. 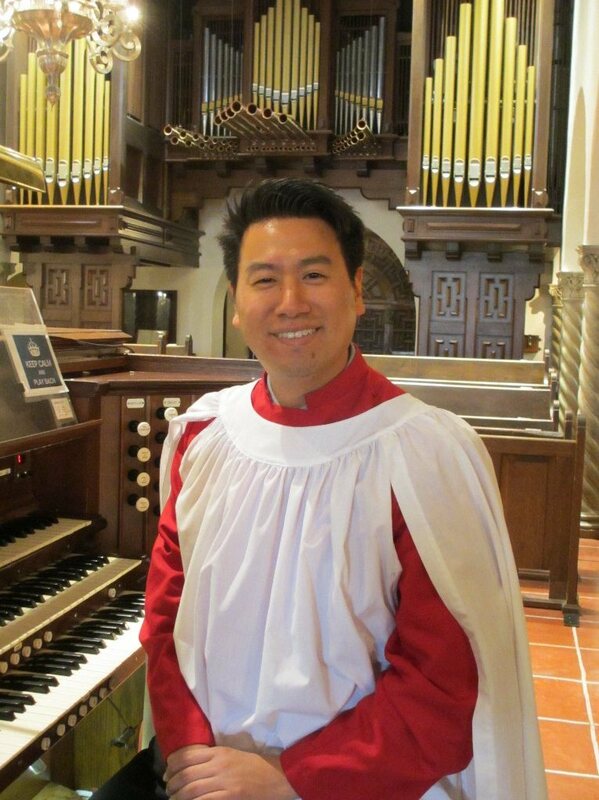 Mr. Kang is active as an organ recitalist in the USA, New Zealand, Australia and the UK with venues including Truro Cathedral, UK; the Trinity Church in Boston; St. Philip’s Cathedral, Atlanta, Georgia; Princeton University Chapel; and St. Thomas Fifth Ave, New York City, NY.